Ethan’s winter onederland cake smash was an adorable success! Goodness, I love this winter themed set up! So much fun for a winter baby! 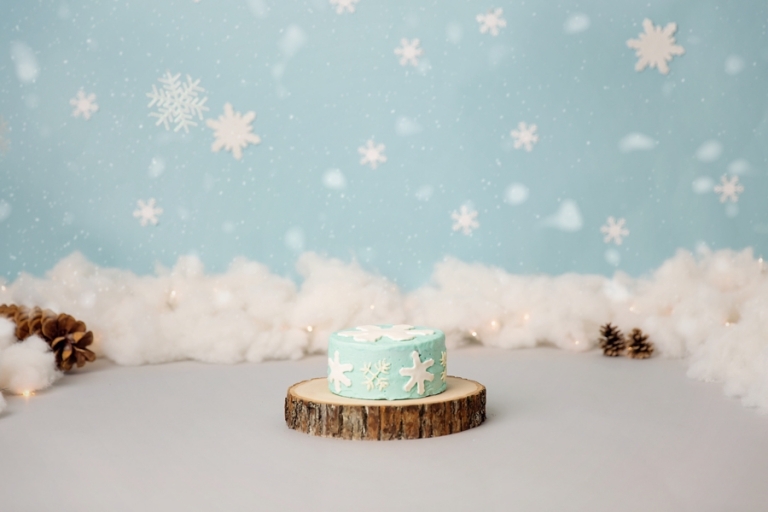 Creating the set for cake smashes for Akron Baby Photography is such a fun part of the job and as time consuming as it is, seeing it come together is absolutely amazing! This particular set looks pretty simple, but between the shopping, hanging snowflakes, and decorating, it took me over two and a half hours! This yummy cake came from A Cupcake A Day in Medina, Ohio. Shawna’s cakes and cupcake never disappoint, they look as good as they are yummy! She is the master behind the cakes in our smashes and coordinating the sets with her is an absolute breeze! Mr. Ethan was a bit serious for his cake smash but that’s okay! His big sister came along to help him. It’s amazing how these little ones respond to their siblings! Why hello those adorable little piggies! It’s all about the details! Ah that crocked little smile! Love this hoodie from 3 Strands! Boys and things with wheels…always so fascinating! Love this little car and bowl by The Original Photoblocks Props. They are both so simple and timeless! Interested in Akron Baby Photography? To learn more about the services offered, please visit the pricing guide and the product information page. All collections include digital images and one of a kind products that you will be proud to hang on your wall. The finished product is just as important as the image to us! Why pay a ton of money to have these gorgeous files collect dust on your computer?? 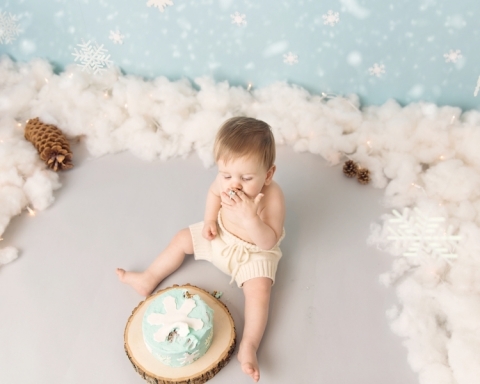 Mary Christine Photography is a Cleveland baby photographer who loves cake, babies, and creating custom sets! 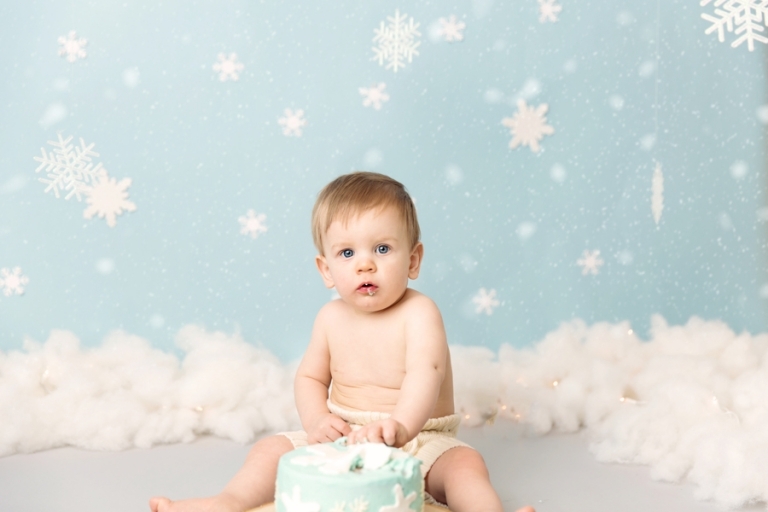 If your little one is turning one soon, please email me to start planning your custom cake smash or milestone session. We love babies!